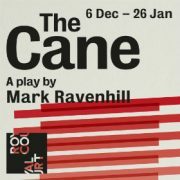 at the Royal Court Theatre, Jerwood Theatre Downstairs, till Saturday 26th January. Runs 1h 40m with no interval. ‘Why would they attack the most popular teacher in the school?’ cries the back cover of the playscript handed (OK, sold) to you by the nice young men in the theatre lobby as you enter. One of the strengths of this piece of thoughtful social melodrama is that, by the end, any credibility stretched by the child-mob scenario is less important than the way we are moved to analyse our own response to one manifestation of historic institutionalised British child abuse. Edward (Alun Armstrong) is deputy headteacher of a local comprehensive school, retiring after 45 years’ service. He and his wife, Maureen (Maggie Steed) have been held virtual captives in their home for the past six nights by the ‘they’ of the original question: a crowd of schoolkids who, displaying a surprising level of retroactive social conscience, gather every day to protest Edward’s past use of the cane. Into this contained domestic chaos walks their daughter, Anna (a clipped, credible and subtly sinister Nicola Walker) ostensibly to repair the ruptured relationship with her parents; really a representative of the new, liberal, best practice-focused, pro-academy educational establishment who is working to an initially hidden agenda. We learn that the cause of the parent-daughter falling-out was not her desire “to murder Daddy” as a child, but disagreement on a point of principle: the academisation of schools. The disagreement runs deep, but not so deep that traditionalist Edward cannot accept Anna’s help in composing a report which he hopes will rebut the recent damning inspection of his school. After all, “She speaks jargon” and, for a time, Old School speaks with New and the rift between father and daughter is healed. Big Issues arise and are given voice in the often-tense three-handed dialogue, yet Ravenhill is careful not to lead his audience towards easy resolution. Opposing strands of opinion are given equal profile and assumed to have equal validity. Anna’s ‘modern’ horror at the effects on children of being beaten, for example, is balanced by Edward’s considered – at times eloquent –justification and rationale for a redundant practice. Her view of academies, at first reasonable, becomes unconvincingly idealistic, even scary; a world of juvenile automatons adhering to “eyes forward” and “silence” policies. Edward’s school may be failing, but it sounds like more of a ‘real’ school than hers. Unadulterated discursive dialogue can get a little rarefied, and eventually the script reverts to matters more concrete. When Edward explains the confusion following the ban on corporal punishment (“there were no instructions as to what to do with the cane”) there is no attempt to explore how, if at all, it was replaced; instead, attention now focuses with almost fetishitic glee on the cane as physical object. Did he keep it? Why? Where is it? Have the protesting kids seen it? Soon, Dad digs it out of the attic and, almost inevitably, ends up demonstrating its use on naughty (rapidly becoming malicious) Anna, unwittingly affording her the means of actualising the potential violence outside and bringing it into the home. The freshness and humour of the dialogue and present relevance of past-rooted issues are enlivened by the playwright’s aversion to didacticism. Edward, in his final monologue, suggests that the right to judge those who wielded the cane should belong to those who were caned themselves, enabling Ravenhill, in climactic summary, to do what he has done for most of the play: pose a complex moral question, juxtapose two very different solutions, and leave it entirely to the audience to decide which they prefer. Should the right to condemn oppression rest solely with the oppressed, or are some actions so heinous that their redress requires more general moral outrage – one that can legitimately thicken into co-ordinated protest, the oppression of the oppressors, and a mob baying for blood?